There are many people who believe that luxury can transportation is reserved for a class of limo taxi services, but it is definitely not the case with Toronto Airport Limousines. Whether you are taking a ride to the airport for your honeymoon, vacationing in the city or conducting a business trip within Toronto and the GTA, arriving and leaving in style is not something reserved for anyone. If you are looking for a luxury transportation limousine rental, then we can provide you with a list of options that can accommodate your every need, ranging from different types of vehicles, to different amenities on board each of our vehicles. We can even get you to the point where you can consider using our services regularly. Some of the things people look for in a limousine service depends on the purpose of renting a limousine or a limo car service. In each case, the number of people using it, the budget of the individual hiring the service, and the esthetics of the limousine or the venue of use will all play a role into deciding what to hire. 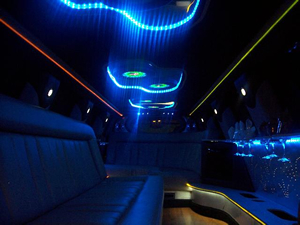 If you are looking for extravagance, royalty and elegance, then a limousine rental service is exactly the type of luxury transportation you need to consider. Toronto Airport Limousine can begin at the airport and end anywhere in the GTA, even if you need more passengers in the vehicle. We define luxury on a whole new level, and the price will be nothing to compare in the face of the impression and smile we put on someone’s face. If you reside in the city or within the limits of the GTA, the areas of Oshawa, Courtice, Scarborough, Hamilton and Niagara Falls will prove that distances traveled to and from Pearson International Airport or the City Centre will in fact become tedious and time consuming. When a friend or relative may be traveling, living further away from the airport will present a challenge in getting them to the airport in time, with consideration of all the factors that may plague the roads and cause delays in your travel time. These are the types of thoughts Toronto Airport Limousine presents to strengthen our belief in what a luxury transportation limousine service will do for each one of our customers. At the end of a long flight from your honeymoon, summer destination vacation or an overseas business trip, the weather may play a treacherous role on the roads of Toronto. If you live further away such as in Milton, Guelph or Hamilton, landing into the airport will be tricky enough as it is. Instead of depending on someone to pick you up or finding your car in the parking lot and hoping it will start, pre-arrange a pickup from Toronto Airport Limousines, and have one of our luxury transportation limousines pick you up whenever you are ready to leave the terminal. Your experience will be enhanced and comforted with a professional limo rental car service that can continue your vacation until the minute you reach home again.